A unique and vibrant sound, a big London live show achieved their first album! On top of that, the three Ganda Boys have started the GANDA FOUNDATION, their charitable organisation for raising money for social programmes to combat poverty in the Third World – starting with raising funds and providing equipment for Ugandan hospitals and schools in need. 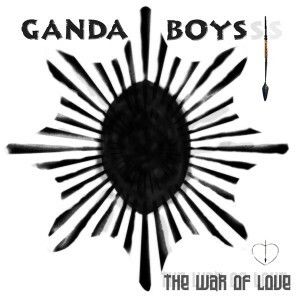 The recorded sound of the Ganda Boys is under the capable hands of cutting edge world fusion expert/performer, CRAIG PRUESS – a versatile American multi-instrumentalist musician, award winning composer, arranger, gold & platinum record producer. Living in Kenya, East Africa, for some years, he stirred up the music scene there after joining the East Conservatoire of Music in Nairobi as a full time member of the music teaching staff. (he was in constant trouble with the establishment there for becoming well known in Kenya with his rock and soul bands!). His Indo-fusion expertise and sitar playing can be heard on “Charlie and the Chocolate Factory”, “Harry Potter, The Goblet of Fire”, “The Guru” and the Warner Brothers film “A Little Princess”. Craig’s number one UK box office composer credits include the soundtracks for films “Bend It Like Beckham” and “Bride and Prejudice”, and his credits for TV music include the 2010 BAFTA Award nominated and 2009 RTS award nominated (for best original music score) BBC-TV drama series, MOSES JONES, and also one of the most successful independent TV drama series in UK history, “Peak Practice”. But it was during the making of the recent BBC “Moses Jones” series that Craig first met and worked with Denis and Dan, and they have never looked back! 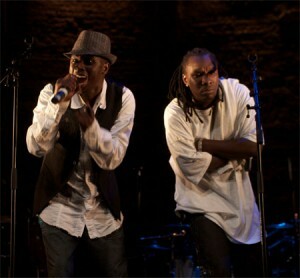 It’s a sizzling collaboration, made for an international audience – heart and soul, poetic and full of energy! Beautifully recorded and performed, with a vibrant and organic sound, the new album is called THE WAR OF LOVE.